Your first EURES job makes it easier to move and work and to recruit young people in Europe. What is Your first EURES job? Arbetsförmedlingen (the Swedish Public Employment Service) is managing Your first EURES job – Targeted Mobility Scheme. Arbetsförmedlingen is the lead partner in a Consortium of several project partners. Your first EURES job (YfEj) is an EU mobility project that aims to match employers with hard to fill vacancies with skilled candidates across Europe. It is open to jobseekers aged 18-35 and to employers from an EU country, Norway or Iceland. Duration is until end of January 2021. Your first EURES job Sweden mainly supports jobs, but through the project partner the Azores (IEFP) a small number of traineeships may also be included. Those traineeships must have their geographical placement in the Azores. Internships, traineeships and apprenticeships may be covered by other Your first EURES job projects in Italy, France or Germany. For more information about other Your first EURES job projects, please refer to the Commission website. The video, from the European Commission, features different examples of how you can benefit from YfEj and how it works. See how YfEj can benefit jobseekers and employers. Your first EURES job aims to match skilled candidates across Europe with employers with hard to fill vacancies. It provides both mobility services and financial support. Preparing for job interviews, etc. It is obligatory to receive mobility services from EURES/PES in order to apply for the project. Jobseekers may contact any of the project partners to get information about the project and about current job opportunities. For additional job matching/information please contact your local EURES Adviser. Jobs can also be found through the EURES portal where available jobs from all EU countries, Norway and Iceland are published. If you add your CV to the portal, registered employers can find your specific competence. Your first EURES job Sweden supports European mobility and sustainable recruitments with fair working conditions. It cannot support employment within sales and telemarketing, businesses with high turnover or with one or more days of unpaid trial work/training before employment or which offers only commission with no fixed wages. Jobseekers can apply for financial support for one job interview in another EU country, Norway or Iceland if they are invited by an employer. They can also apply for a paid interview trip within their country of residence if it is a recruitment towards a job in another EU country, Norway or Iceland. Funding is a contribution towards travel and accommodation costs depending on the distance (from EUR 100 up to EUR 350) as well as a flat rate to cover meals, local transport, telecommunications and all other sundries. However, if the actual costs for travelling etc. is substantially lower than the flat rate amount then the support may be reduced accordingly. not receive paid travel nor accommodation costs, meals, local transport nor all other sundries from the employer, other project or authority. Please note that jobseekers will be obliged to reimburse the whole amount if they do not travel to the interview, and if they do not have duly motivated and lawful reasons to do so. If that occurs, please inform the project immediately. The project will verify all information given by jobseekers. During the application process the EURES adviser and interviewing employer will also be contacted. it is obligatory to send in the Confirmation of attendance form where the employer confirms the attendance, no later than 4 weeks after the interview. Jobseekers can apply for financial support as a contribution towards the costs of relocating to another EU country, Norway or Iceland. It is obligatory to receive mobility services from EURES/PES in order to apply. The financial support is a contribution towards the costs for transport, travel insurance, temporary accommodation during the first stay in the country, meals and all other sundries. To be eligible to apply, jobseekers cannot receive the same kind of support from the employer. But it is possible to choose not to accept support from the employer and apply for support from Your first EURES job instead. The support is a flat rate according to the country of destination from EUR 700-1400. The project supports European mobility and sustainable recruitments with fair working conditions. It cannot support employment within sales and telemarketing, businesses with high turnover or with one or more days of unpaid trial work/training before employment or which offers only commission with no fixed wages. Please note that jobseekers will be obliged to reimburse the whole amount if they do not start their new job or if they leave their job before 6 months, if they do not have duly motivated and lawful reasons to do so. If that occurs, please inform us immediately. The project will ask the employer to send in a Confirmation of employment, no later than 4 weeks after the first day of work. We cannot grant any financial support until we have received the Confirmation of employment from the employer. Jobseekers may also be entitled to receive additional financial support to cope with costs required to move and work in another EU country, Norway or Iceland, as specified hereunder. A precondition is that the employer, other project or authority do not already pay for these costs. Your first EURES job makes an individual assessment based on each application. A jobseeker who finds a job, is pre-selected or has good chances of finding a job in another EU country, Norway or Iceland and has a need to have academic and/or professional qualifications recognized in the new country of work, may qualify for financial support towards the costs incurred. The costs incurred with the recognition of qualifications may include: certified copies and/or translations, administrative proceedings, supervised practices (or trainings) and/or aptitude tests. Payment of financial support may be claimed, flat rate of max EUR 400, after submission of the recognition request to the competent clarification body in the new country of work. See detailed instructions and checklist on how to apply in the application form below. A jobseeker who finds a job, is pre-selected or has good chances of finding a job in another EU country, Norway or Iceland and has a need to attend a shorter language course in order to facilitate the new work in the new country, may be eligible to apply for financial support. Please note that the project needs to authorize the application before the start of the course. The financial support consists of a reimbursement of actual declared costs, up to max. EUR 2 000, after completion of the course and presentation of documentary evidence such as course certificate, invoice(s) and receipt(s). An advance of 50% of the total amount may be claimed in some cases. The balance will then be paid after completion of the course and presentation of documentary evidence such as course certificate, invoice and proof of payment. If the course is not completed, advance payments will have to be reimbursed to the project by the jobseeker. The application should be sent well ahead, preferably 2 weeks before the start of the language course. If a jobseeker has been offered an interview or a job in another EU country with the support of this project and has special needs for different reasons, then the jobseeker may qualify for a supplementary trip allowance. The allowance should help jobseekers to cope with extraordinary expenditures when moving to another EU country. Reimbursement of declared costs up to max. EUR 500. The jobseeker may have special needs, i.e. disabilities and/or come from a disadvantaged social/economic/educational background or be facing temporary economic difficulties. The supplementary trip allowance could cover transportation of a wheelchair or a guide-dog, the travel cost of accompaniment or other duly justified need. The jobseeker could also be travelling from the outermost regions/peripheral regions of Europe and experience extraordinary costs immediately before and/or after moving to another EU country, Norway or Iceland. Your first EURES job is a job mobility scheme to help employers find qualified workers and to help young Europeans find a job in another EU country, Norway or Iceland. It aims in particular to match hard to fill vacancies with young candidates across Europe. 1. Employers with recruitment needs, focus on small and medium-sized enterprises (SMEs), must first contact a EURES Adviser/assistant or a Public Employment Officer and establish a recruitment cooperation in order to take part. 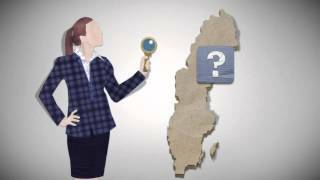 information on what to think about before employing from an EU country, Norway or Iceland. administrative support etc. helping the new employee to get settled. The financial support is a flat rate varying according to type of integration programme, number of participants and country where the company is located. Your first EURES job supports European mobility and sustainable recruitments with fair working conditions. It cannot support employment within sales and telemarketing, businesses with high turnover or with one or more days of unpaid trial work/training before employment or which offers only commission with no fixed wages. the integration programme must start during the first initial three weeks of work. The application must be sent to Your first EURES job at the latest one day before the start of the employment. It is obligatory to have an established cooperation/contact with EURES/Public Employment Services in order to apply for the project. for more information and examples of content, see our Template for an integration programme.